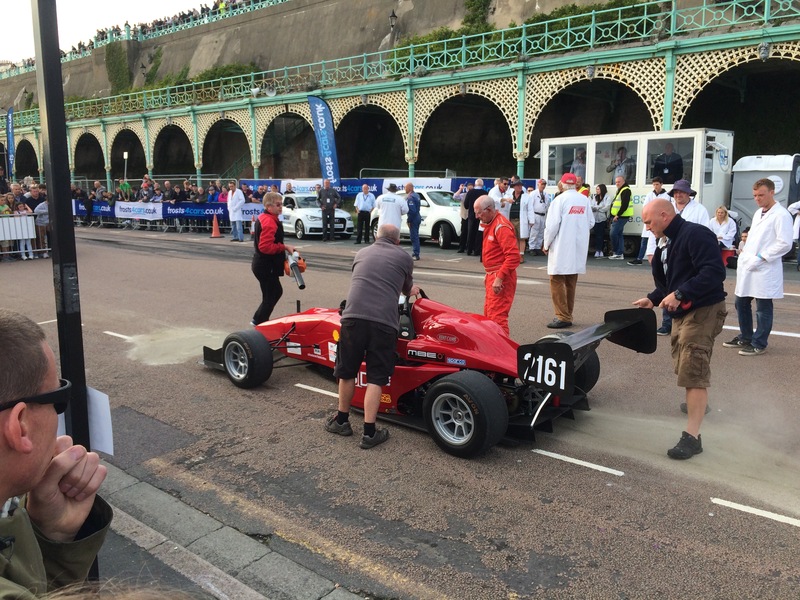 The last time I competed at the Brighton Speed Trials was in 2012 when the event was marred by the tragic death of motorcycle sidecar passenger Charlotte Tagg. The Green local authority siezed on that as an excuse to try and ban the Speed Trials from being held in the future (see previous posts). 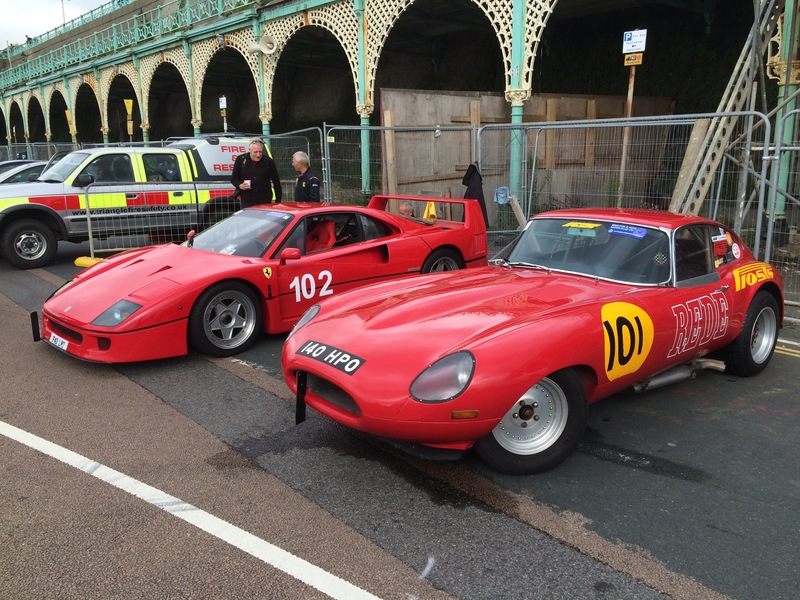 However they had not reckoned on the passionate support the event has and a campaign organised by the Brighton and Hove Motor Club led to the Speed Trials returning in 2014. Unfortunately I was unable to attend that year but was pleased to be able to get an entry for this year. 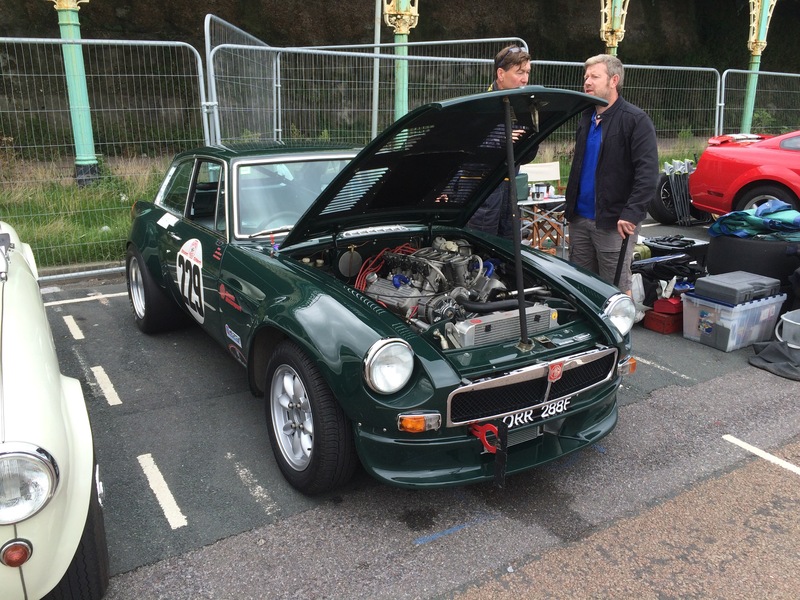 It was good to bring the Beast back to Madeira Drive. As miraculously always seems to be the case the sun shone and several thousand spectators turned up to watch what is one of the oldest motorsport events in the world. 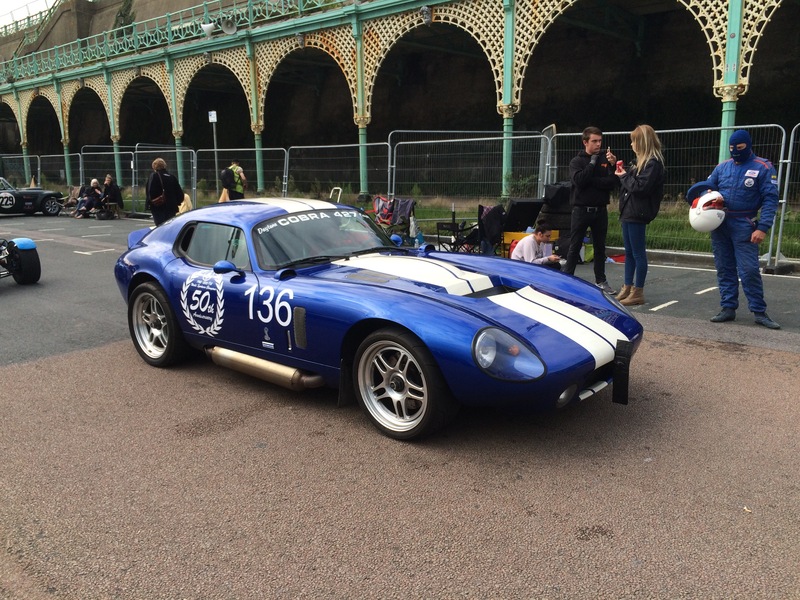 Nadine Geary’s immensely powerful Brock Daytona Cobra Coupe. Nadine is a former owner of the Beast – which she always made go rather faster than me! For years John Scanlon has enetered the Speed Trials in a variety of seemingly inappropriate Bentley saloons. This year he entered his Bentley Arnage Black Label. 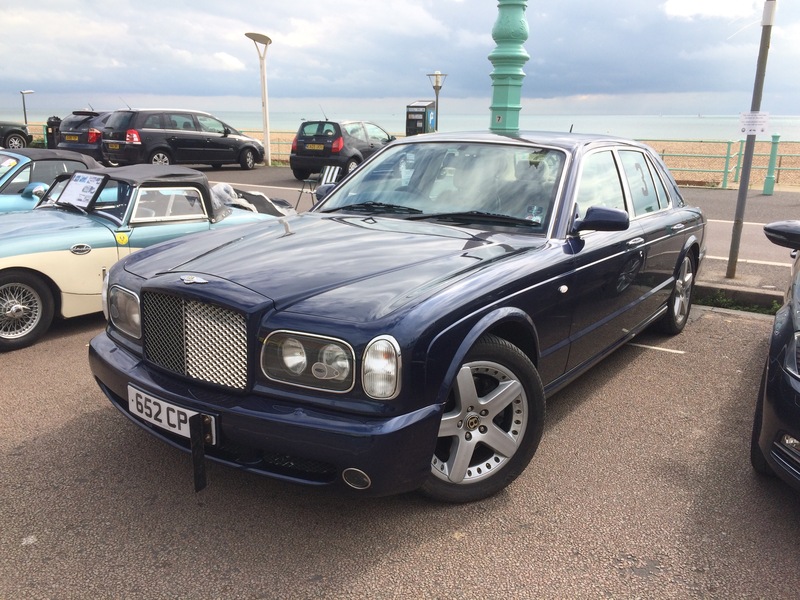 These are fantastic cars – the last of the real Bentleys (before they became Volkswagons). Crewe built they look stunning and have the final iteration of the venerable 6.75 litre Rolls Royce V8 – this time built by Cosworth and fitted with twin turbochargers. They are rare and ludicrously cheap and if I had a barn I would fill it with good examples. 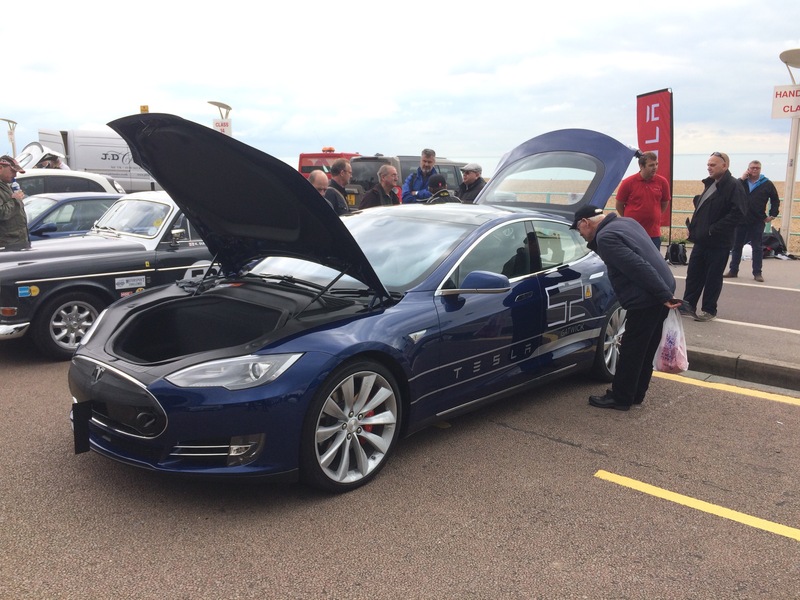 Tesla brought along a P85 which performed well but perhaps not as quickly as they thought it would. Fastest Time of the Day went to crowd favourite Jim Tiller in his heavily modified 7.3L Allard J2. 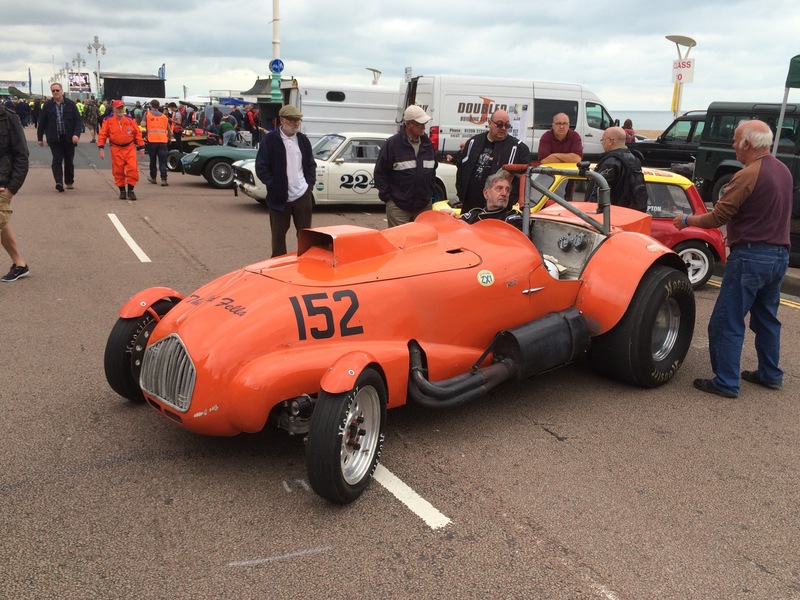 Jim has been modifying and competing in his Allard at the Speed Trials for nearly 50 years. This was only his second victory – the first coming in 2004. Mexican company Vuhl entered one of their new cars for what was the first competitive outing for the brand. I suspect the car is better suited to events with corners than drag strips! 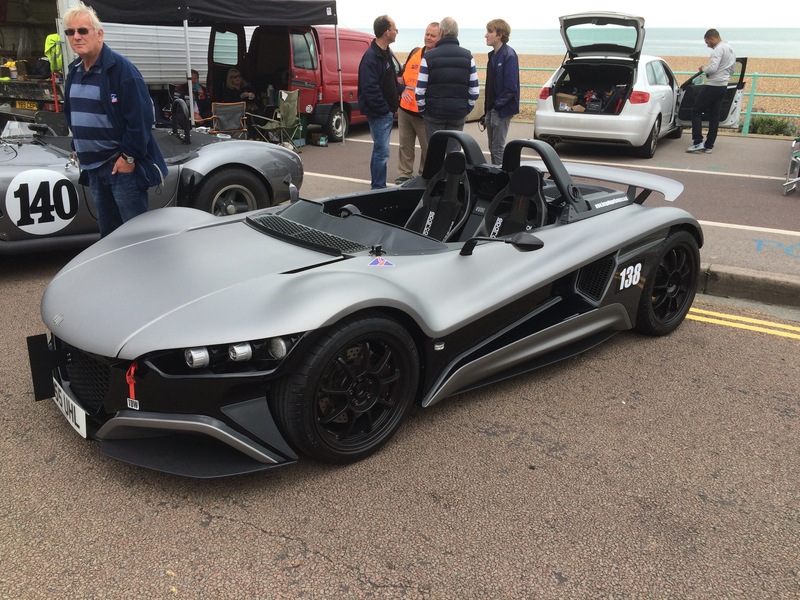 Its hard to imagine that Jim Tiller’s Allard once looked like this J2X. 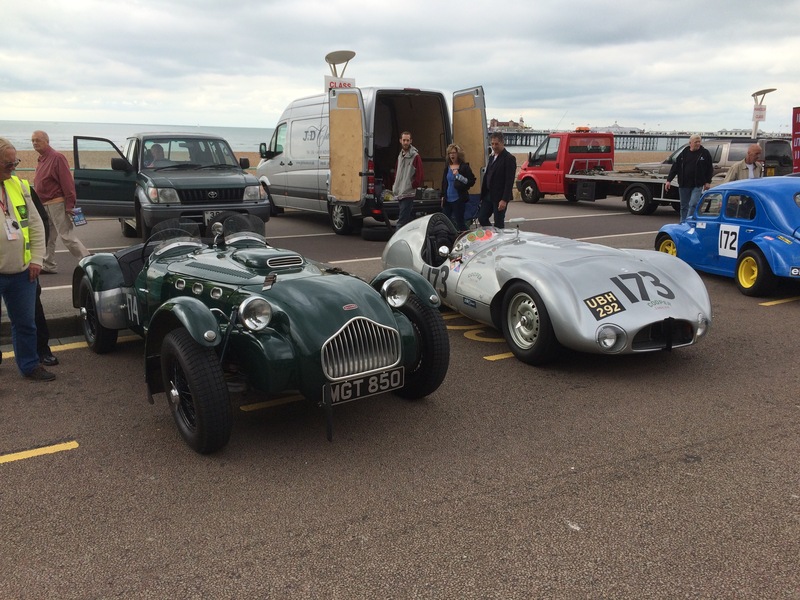 The smart Cooper Jaguar T33 next to it went on to win the first race at the Goodwood Revival the following weekend. 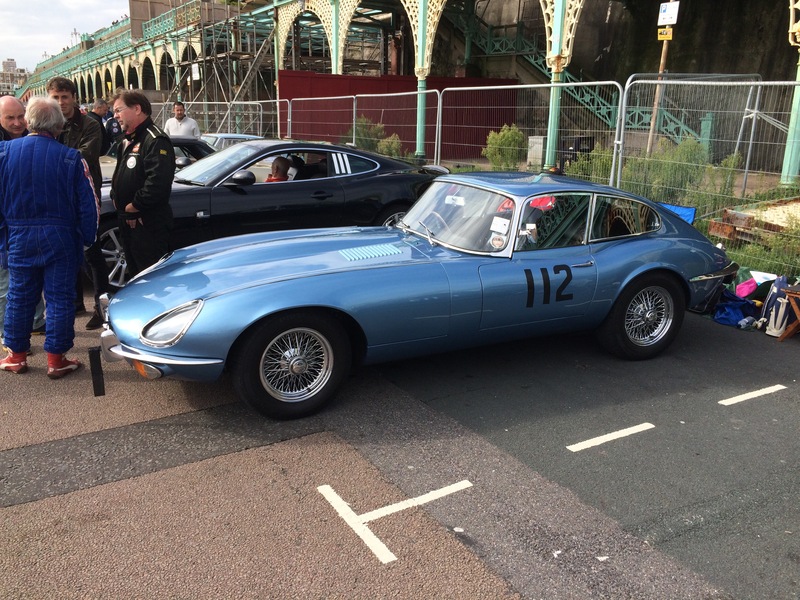 Robert Oram has been competing in his E Type at the Speed trials for many years. This year he also entered and drove the Ferrari F40 behind. A nice way to spend a day! 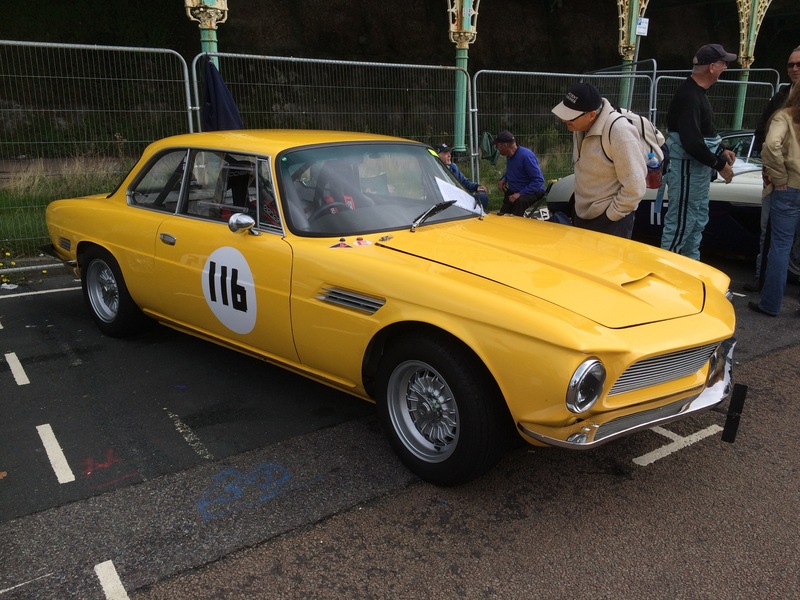 An unusual entry was Alan Collett’s rare ISO Rivolta GT. Like an Italian Gordon Keeble or Bristol it combines European running gear with a big US V8. 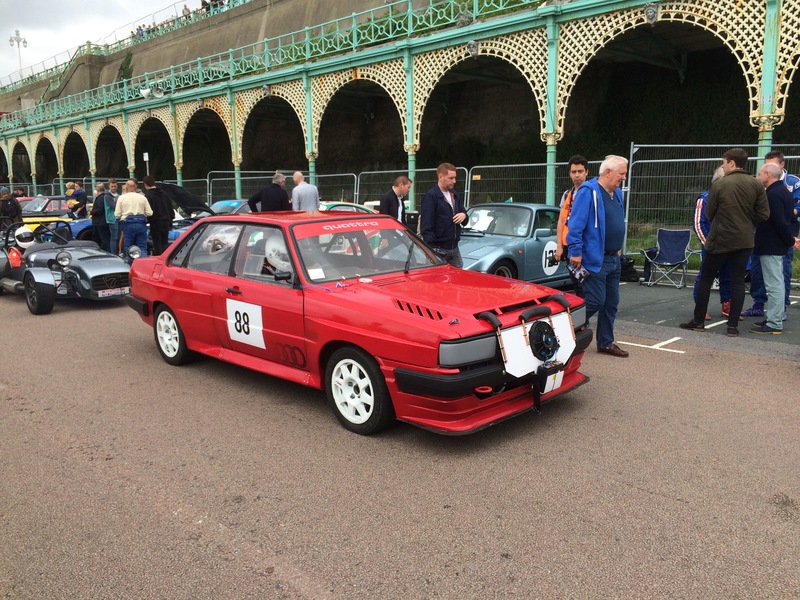 Third fastest car on the day was John Church’s standard looking Audi 80 Quattro. It was anything but being blisteringly fast. Note the portable engine cooling fan – no point wasting power and increasing weight with permanent mechanical or electric fans! Carole Torkington prepares the SBD OMS CF08 for its final run. She came within fractions of a second of beating Jim Tiller’s Allard and becoming only the second woman (after Patsy Burt in 1968) to win the event. As per usual the event attracted an eclectic mix of vehicles. And whilst I improved my time on previous years, running with list 1A road tyres made a class victory all but impossible. I was, however, gratified to beat a Ferrari F40 in two of the three timed runs. The video below shows Pierre Lequeux in his Austin Healey Sprite starting his timed run. 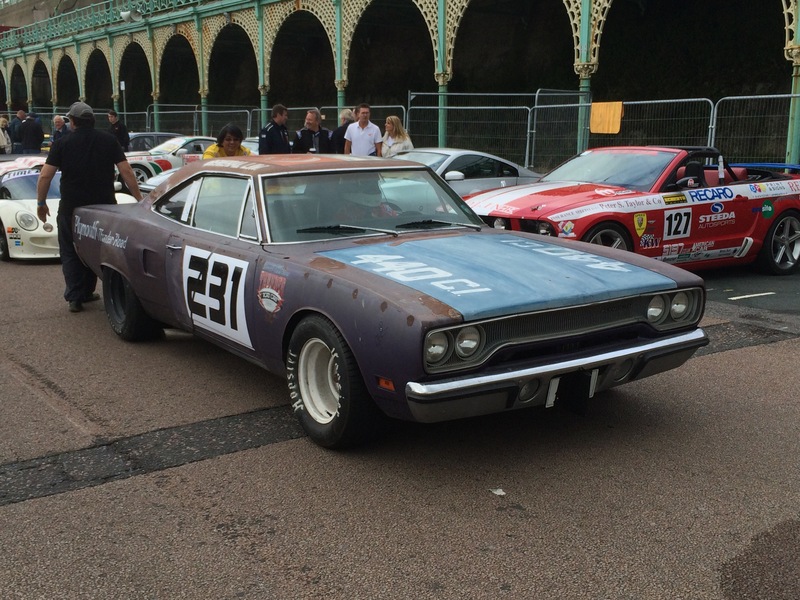 The car has been wonderfully restored and competed at Brighton in the 60s. MG to Monte – the movies!